Showing a favorable impression of your business is important. Having professional, well designed apparel is a great way to get your brand in front of others. 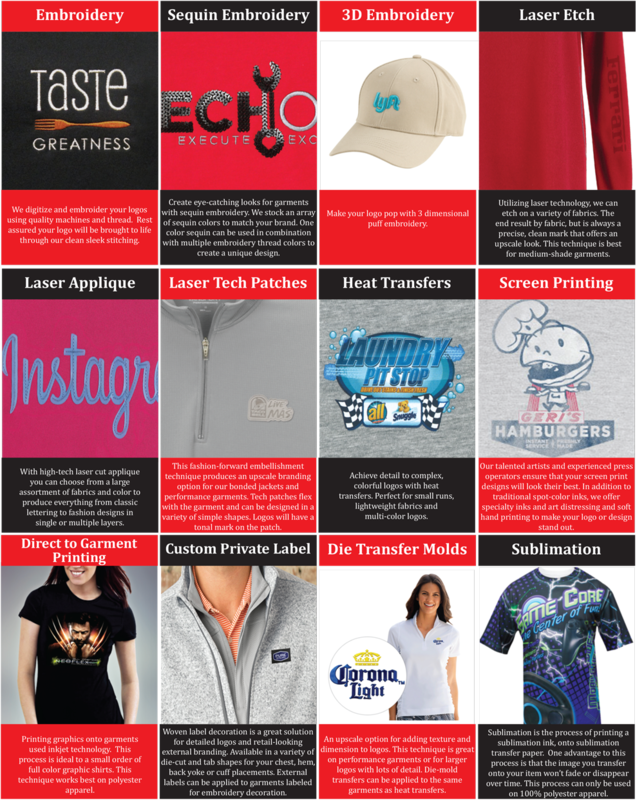 QG specializes in all the latest printing and embroidery techniques to help your brand stand out. We have thousands of products to meet all your apparel needs. QG is a premium supplier of custom caps, shirts, workwear, safety gear and athletic apparel. If you need it logoed we will find a solution! Take a look at all the decorating techniques we offer. Lets get creative! Give us a call to discuss which method will work best for your logo.